I loved this place The town was like something out of a movie or picture. The cottage itself was beautifully decorated, and everything was in good working order. Cozy and historic with high end appliances and all sorts of little luxuries. Private garden. A welcome hamper that was fully stocked with gourmet local goods and the owner's own eggs. Open the windows and you will only hear the sounds of doves cooing, church bells, sheep, and the occasional rooster crowing. Walk around the village, and there is an old church on the hill and hidden trails. 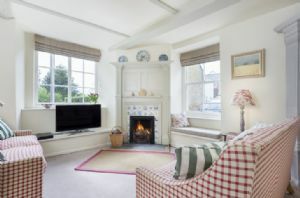 I wish we could have spent more time here.It seemed almost too quiet at first, then we quickly adapted to Country life. There is really no street parking at the cottage, but an car park area just around the corner provides plenty of space. All kinds of things to do including beaches within a short driving distance. Nice cottage but parking is difficult. The garden was neglected. The property was ok and looked as shown in the photos. However, access was down the side of the property, the door was very dirty and the key to be collected under a sodden dirty mat, which wasn't the nicest welcome. Once inside, the property was filled with smells from the oil boiler. I am unsure if the property had not been lived in for a while but the smell was everywhere. We would not have been able to stay if the smell persisted as strong as it was but by the morning it had improved but not disappeared. The boiler is located in a cupboard/room adjoining the kitchen and the smell in the kitchen did not improve. The boiler/heating system woke us up in the morning when it came on. FROM THE OWNER ~ The oil boiler did go badly wrong shortly after these guests arrived . I got a plumber to fix the problem immediately but there was a lingering oily smell for which I apologise. We gave these guests a discount for their inconvenience. Since then the oil system has been completely replaced by an all electric one, which has proved very efficient. Re the dirty front door - the guests arrived in heavy rain. 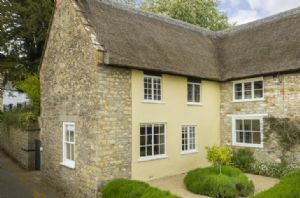 Being a thatched cottage there is no guttering and the rain comes straight off thatch and can cause a splashback of sand from the hoggin (sand and gravel) pathway. 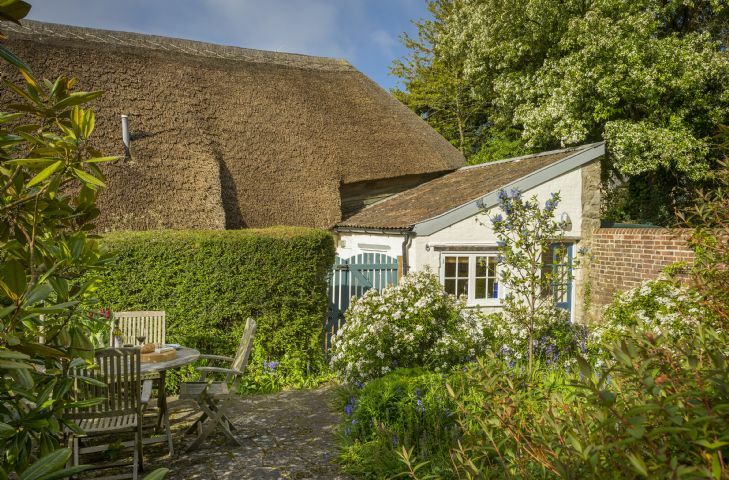 Charming thatched cottage in a lovely spot. Beautifully decorated with quirky elements. Excellent library too! Thanks for the fresh eggs and delicious local cheese. will recommend. 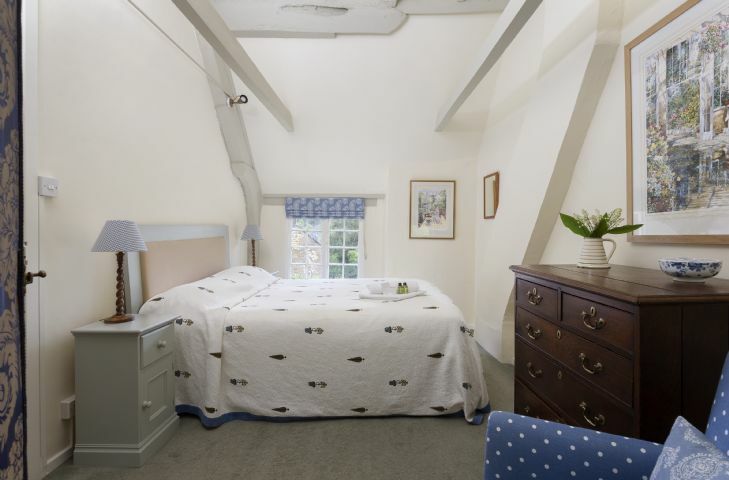 Thank you for your lovely review of Pear Tree Cottage. 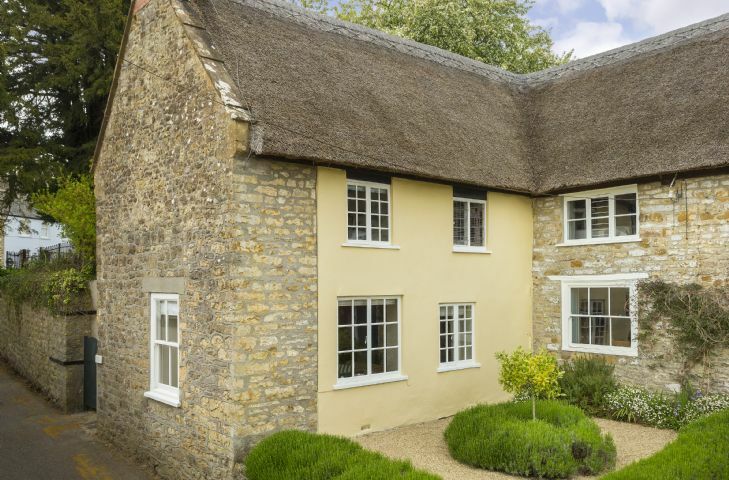 This Grade II listed stone and thatched cottage dating from the 16th Century is full of period charm. 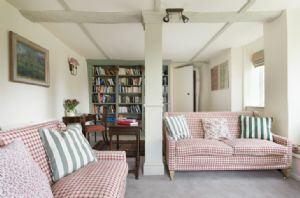 Pear Tree Cottage has been refurbished to the highest standard and features a light and bright sitting room with lots of books and an open log fire, and a spacious kitchen/dining room with garden views. 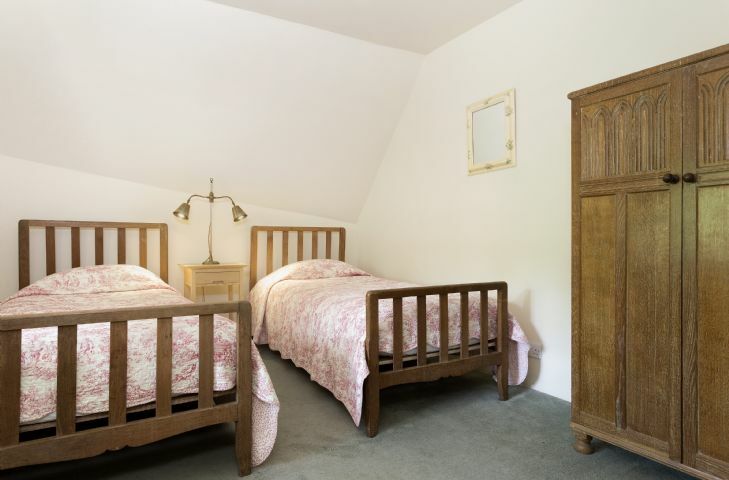 With one double and one twin bedroom, the cottage is the perfect size for families of four. Pear Tree Cottage has a beautiful fully enclosed garden with table and chairs for outdoor dining. Netherbury was the home of Hugh Fearnley-Whittingstall’s original ‘River Cottage’ and was the village of Cloton in Thomas Hardy’s short story ‘Destiny and a Blue Cloak’. 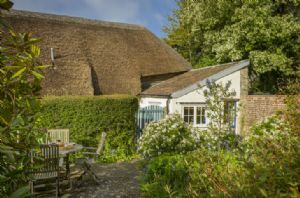 There is a pub in the neighbouring hamlet of Waytown a short walk away and there are good pubs and restaurants in the attractive towns of Beaminster (2 miles) and Bridport (4 miles). Bridport has a twice weekly market and a lively arts and music scene. 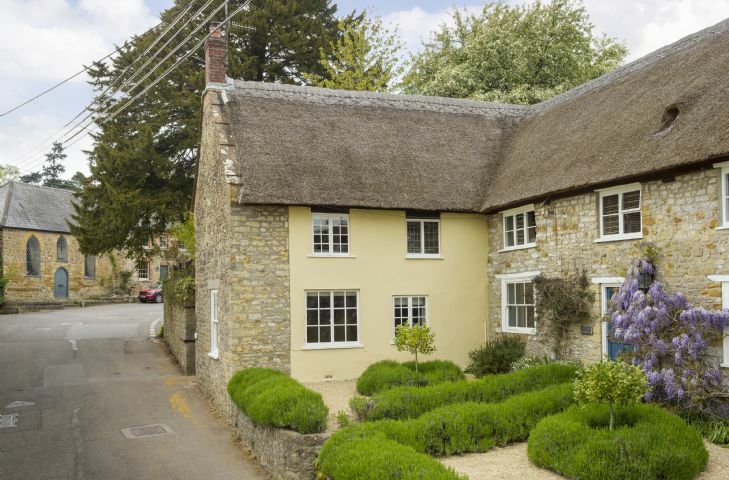 Situated in the Dorset Area of Outstanding Natural Beauty, Netherbury makes an ideal base for walking and cycling and is close to the Jurassic Coast with all its associated amenities for sailing, fishing, fossil collecting and much more. 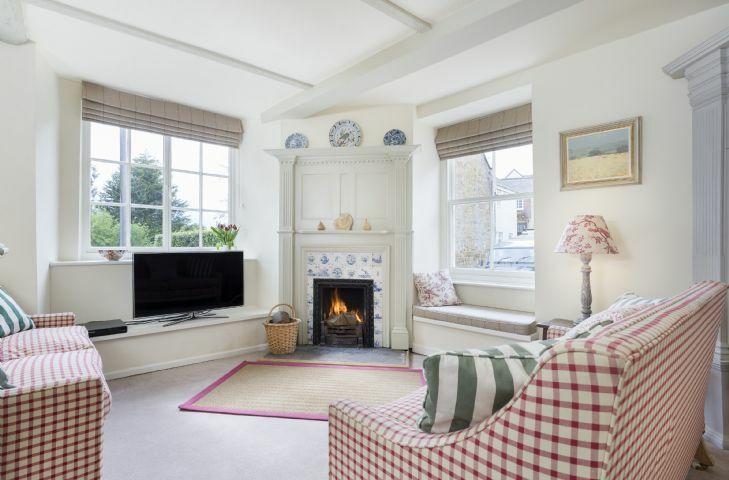 Myrtle Cottage sleeping six guests is also available to book at this location. One double bedroom and one twin bedroom. 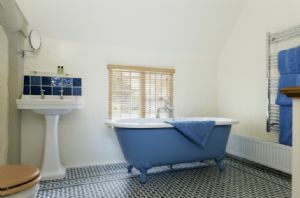 Shower room and bathroom with roll top bath. Attractive garden with patio dining area. Freestanding electric oven with hob, fridge with small freezer compartment, microwave. Samsung smart television and DVD player. A 20 minute walk takes you to the Hare & Hounds pub in Waytown, while 2 miles in the opposite direction is Beaminster which has a small supermarket and post office. Only a little further away (4 miles) is Bridport which has a good selection of supermarkets, shops, restaurants and pubs to choose from. Go fossil hunting along the Jurassic Coast which boasts 95 miles of beautiful beaches and clifftops including West Bay beach (20 minutes’ drive) which has been used as a film location for popular ITV drama Broadchurch. 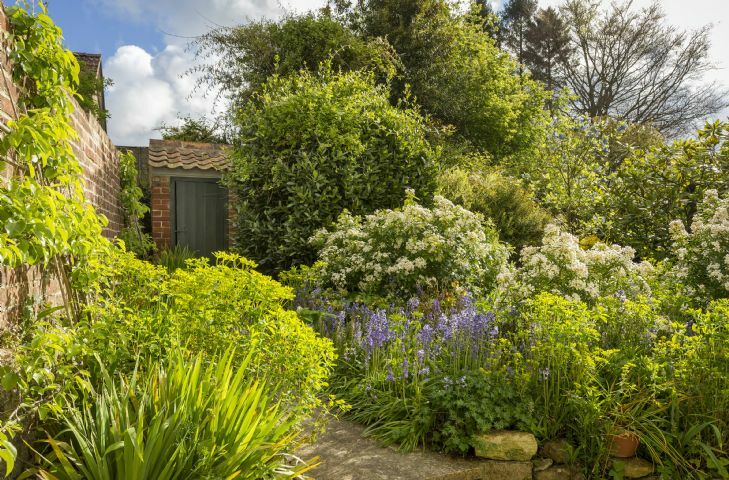 Families will love a day out with the animals and birdlife at Abbotsbury Swannery, Abbotsbury Children’s Farm or Monkey World. 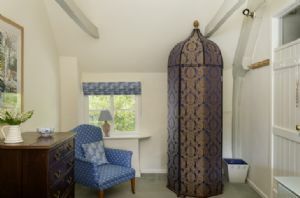 Historic houses and gardens nearby include Mapperton House, Montacute House and Forde Abbey. 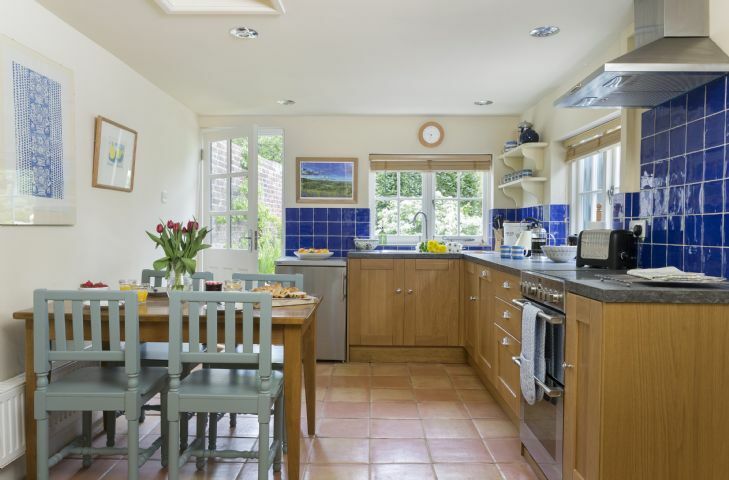 Improve you culinary skills with a cookery class at River Cottage. Bridport has some great arts and music venues such as the Electric Palace and Bridport Arts Centre.